When looking at how financial institutions treat home loan agreements, it’s easy to feel like they look at your situation as just another number. As a homeowner it can be challenging to remain impartial in these situations because to you, it isn’t simply an ink to parchment agreement, but you home and livelihood. Most homeowners didn’t invest in their home as part of a profitable strategy, but more so they could provide a roof over the heads of their family. Most home buyers look at their first mortgage as another step on the road to success and financial stability, as well as a solid beginning on the path to financial stability. There was a time when homeownership was looked at as an American rite of passage to starting their lives and one of the many achievements on the path to adulthood. With modern market instability, the negative effects of homeowners all across the country are many. Byproducts of the housing crisis, devaluation of real estate, unemployment, mounds of insurmountable debt, and foreclosure are all rampant across the United States. It is understandable that bad things do happen to good people, and these situations seem to be becoming more and more common as everyday people are faced with these financial challenges every day. When facing a negative financial situation like foreclosure, there is often no remedy but to maintain the course and consider your options. It is necessary to maintain an objective perspective in looking at your financial picture. There is no escaping your situation without taking some sort of action, and the outcome of doing nothing is hardly likely to be favorable. Your home may be more than just an investment to you and it can be challenging to have perspective under these circumstances, however, it is imperative to consider all options available to you in order to aid yourself in escaping your issues, and moving on with your life. If you find yourself upside-down on your mortgage or loan, where the value of your loan balance is worth more than the tangible value of your property, it is probably an advantageous option to sell the home. It may not be the ideal situation that you were looking for, but when you are metaphorically backed up against a wall financially, considering any and all options is far more beneficial than doing nothing at all. It can be difficult to sell a financially underwater home, but there are investors out there willing to buy your home. If you are stuck in an expensive mortgage or facing other troubling financial situations, it may be an attractive option to consider secondary financing. There are investors specifically looking for these types of situations. The way secondary financing works is that the seller offers an investor financing on a loan, with the buyer taking over payments on the home loan directly to you. This is a similar process to “subletting” but with the added benefit of the positive effects in paying a mortgage payment reliably each month. 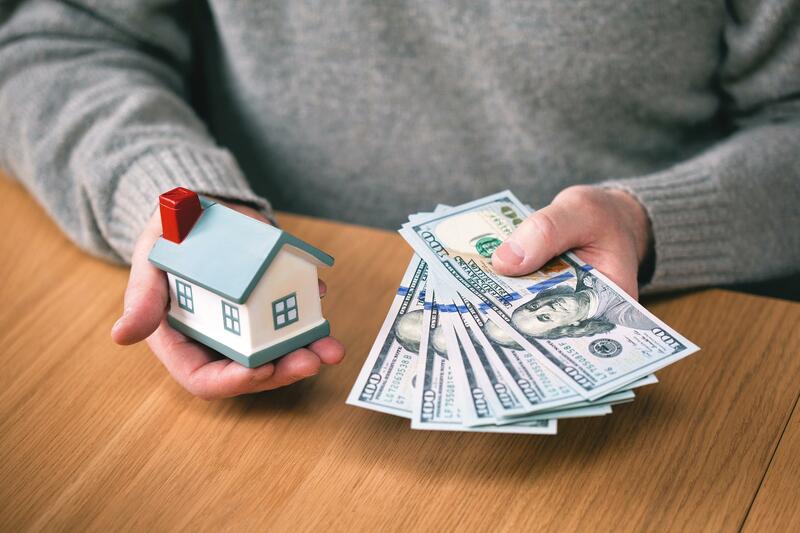 Having this sort of income and track record can result in a favorable outcome for homeowners when it comes to loan term and payout negotiation with financial lenders. In many cases, lenders will settle for the market value price of the home versus the total balance of a loan in order to recoup what could be a potential loss in selling a home at auction or being forced to sit on the value of the property. When factoring in interest on a home loan, this can be a very alluring option as a homeowner, with a much more positive outcome for both the lender and the debtor. Similar to a secondary financing, renting to own offers the benefits of monthly income that can be used to pay off their debts reliably. The seller grants the buyer flexible payment options, and the total of rent paid by the buyer is often discounted off of the final sale price. When faced with a seemingly inescapable financial situation it can be tough to look at your predicament objectively but the only way to get out favorable is through compromise. The important thing to consider is though your financial situation may look bad, and you’re giving up your home, you can still make it out earning something to walk away with, be it time, flexibility, and even your financial credit history remaining intact. The key is to remain vigilant and in control of your emotions, and have some perspective about your problems, there may even be a solution to your situation that you can walk away happy with. 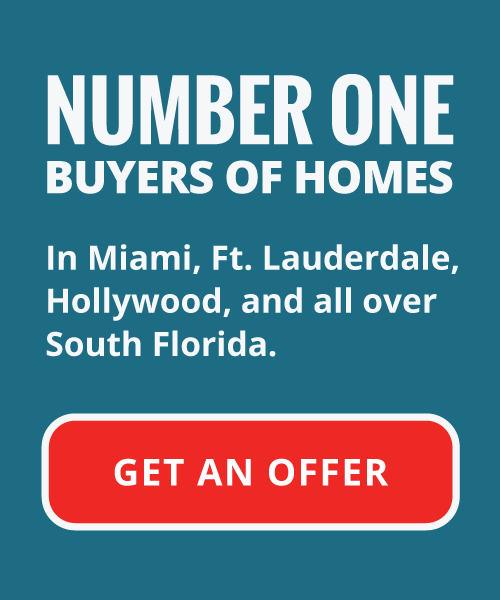 Your Florida House Buyers can help you.